With the personal tragedy that we had in our lives a few weeks ago, I knew that I wanted to make Christmas extra special this year. How though, I wasn’t sure. While I love watching the kids open lots of presents on Christmas morning, I do believe that the best presents aren’t ones that fit under the tree; the best presents are the time spent together while making memories that we’ll share. Finally, an idea dawned on me. What if I surprised the kids with a cultural, educational, and fun overnight trip to downtown to celebrate Christmas in Portland? Living just over an hour away from Portland makes it easy to sneak away for an overnight excursion. While we travel to Portland for special occasions, heading in to what my kids think is a ‘big city’ is still a very unique experience that the small town life we have in the heart of the Willamette Valley. I began searching for ideas of things that we could all do together. I looked for things that we hadn’t done, that would give us a variety of experiences so that hopefully, everyone would enjoy at least something. 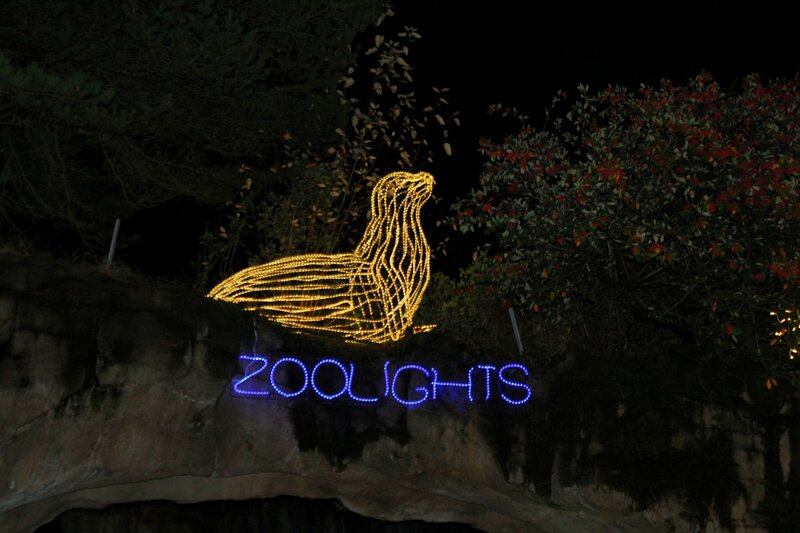 The Zoolights at the Oregon Zoo has been one of our family holiday traditions since 2013. Every year I’ve shared our experience with you. When we attended the first year I had no idea that it would become such a tradition in our household. Every year the kids ask me, “When are we going to Zoolights again?” Every year we get bundled up, drive up to Portland, and stroll around the zoo and spend a couple of hours looking at the exhibit. We grab a bite to eat, drink lots of cocoa, and finish the evening by riding the 6 minute zoo train. 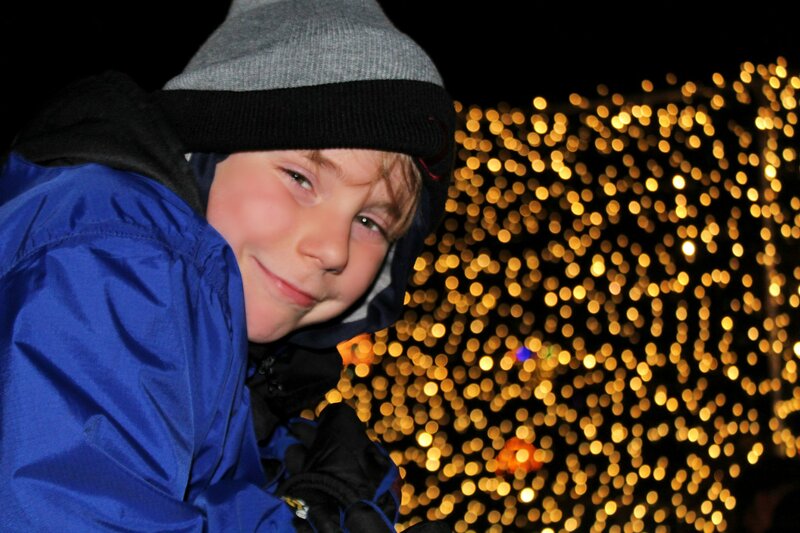 It amazes me to think that Noah, who is 8, doesn’t even remember a Christmas without seeing the Zoolights. 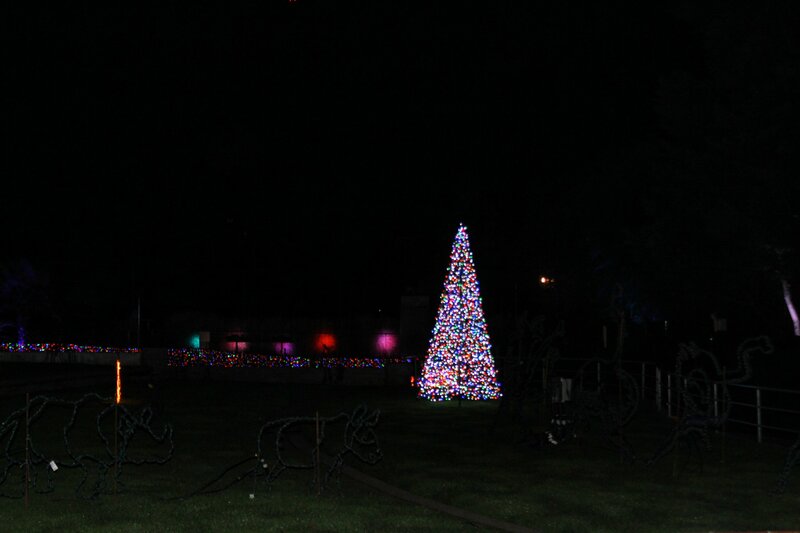 There is over a million and a half twinkling lights around the zoo. We always love seeing some of the animals after dark, like the sea otters, elephants, and bats. Activities for little ones include Santa stopping by on nights prior to December 23rd, and they have a carousal and animal characters around the zoo. I’m not going to lie – there’s been a few crickets around here lately. It’s not because I’ve wanted to neglect this website, it’s just that I haven’t had the time to sit and find the right words to say. The holiday season is a busy time for all of us, and while I don’t believe that I’ve been particularly any more busy than prior years, I seemed to have lost my creativity somewhere down the road. It frustrates me.